Scared of lip injections? So was I. But, when I heard about the launch of Restylane Silk, an FDA-approved filler specifically designed for “subtle” lip enhancement, I was intrigued. Fillers are most often associated with mature women seeking to replenish age-related loss of volume. But what if wrinkles and sagging skin aren’t your cosmetic concerns? I reported to Charlotte’s Book Premier Provider Dr. Julie Russak‘s private clinic, Russak Dermatology, determined to learn more about fillers. Lucky for me, Restylane Silk was recently launched and Dr. Russak was ready to address my concern. What’s the Difference: Restylane Silk Vs. Other Restylane? Restylane Silk, like other Restylane products, is a hyaluronic acid based filler. Hyaluronic acid naturally occurs in the body and is a polysaccharide that firms, plumps, smoothes, and provides moisture to the skin in addition to lubricating joints. As a humectant, hyaluronic acid can hold 1000 times its weight in water, acting as a key component to plump, youthful skin. Hyaluronic acid fillers, such as Restylane, Perlane, and Juvederm, recreate loss volume in their patient’s faces, filling in wrinkles and lifting sagging skin. 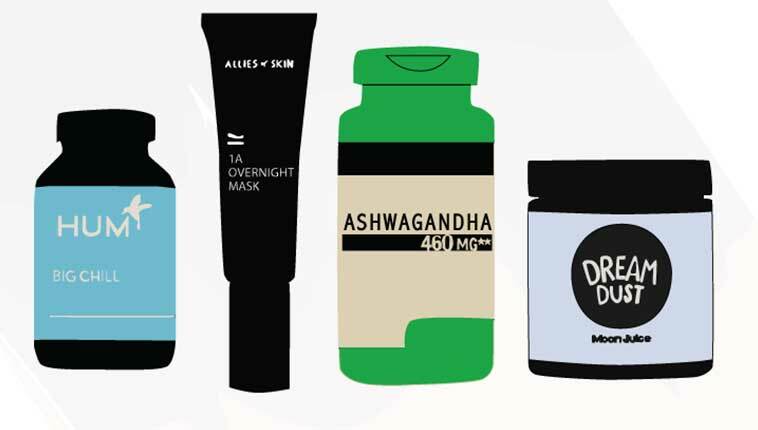 Related Read: #AskCharlotte: At What Age Should I Start Using Retinol? Perfect, because in no way was I looking to acquire a trout mouth. Is The New Restylane Silk Causing A Shift Towards Younger Clientele? 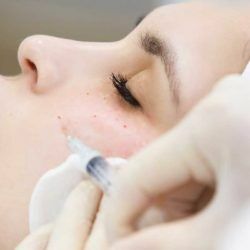 “I am seeing an increase in clients in their mid-20’s using injectables whereas, before, I mostly saw the 35-plus age range for them,” said Dr. Russak. “Aesthetic rejuvenation today is very different from that of ten or fifteen years ago. Today, I see a trend in younger patients opting to not necessarily restore what was lost, but to re-contour and define their features, achieving overall balance. My younger patient demographic hasn’t lost volume in their lips, they simply want to enhance undefined lips, creating a fuller pout.” Or, in my case, correct what had always been uneven. “It’s not unusual for one lip to be disproportionate to the other,” she assured me. “This noticeable difference can be corrected with filler to achieve anatomical symmetry and proportion, which should be 1/3 upper lip and 2/3 lower lip.“ Good to know. To What Do We Owe This Spike In Interest? “I think it has to do with social media and young celebrities being honest about aesthetic treatments they have undergone. Subtle enhancements can restore a lot of confidence at any age.” You’ll hear no dissent here. A subtle enhancement to restore confidence was exactly why I was sitting in her office holding an ice pack to my numb mouth. Slightly nervous about having something injected into my face for the first time, I was relieved to learn that Restylane Silk contains traces of lidocaine, a local anesthetic commonly used in dermatological treatments, to erase any pain once injected that the preliminary numbing cream and ice pack haven’t already dulled. Reassured, I gave the good doctor the go ahead to prick me. Two weeks later, I was back at Russak Dermatology for my follow-up, absolutely gaga over my perfectly proportional pout. I had to know what other non-age-related aesthetic art she had created using dermal fillers, you know… for research. “There are many concerns that all age groups experience and aren’t age specific, such as inheriting deep under-eye hallows or wanting to fix a botched rhinoplasty. I’ve performed many liquid rhinoplasties to minimize a bump or create a more defined bridge. I’ve injected filler towards the tip of the nose where a plastic surgeon had removed too much cartilage and also used it to create a more defined chin or cheekbone.” Technically, these uses are considered “off-label,” meaning they aren’t for what the product was officially approved. However, using drugs already FDA-approved for internal usage on the face is a regular practice among dermatologists and has led to the discovery of multiple functions for effective products. I am now a filler convert, and fully confident that if I have any other subtle enhancement needs, I know exactly where to go. The dark lip liners I formerly relied on to superficially balance my lips? Well, those have mostly been retired in favor of sheer summer shades, because now my lips speak for themselves. READ THIS NEXT: Do French Women Age More Gracefully?